In this era of peak TV, there’s no way to keep up with every must-see series. Who has the time to follow everything? Netflix and Amazon release new original shows every few weeks, and there’s no end in sight to that trend. Looking beyond obvious studs like The Leftovers and Better Call Saul, there are other solid stalwarts that deserve more recognition. These quiet successes carve out a comfortable niche yet are often lost behind the leaders. A perfect example is Amazon’s cop series Bosch, which keeps churning out effective seasons every year. The show’s willingness to meander helps it avoid the traps of most network police series. Titus Welliver stars as the title character Detective Harry Bosch, a veteran cop that draws the ire of both criminals and fellow officers. Many of them spend the episodes spitting out a frustrated “BOSCH!” while dealing with the difficult guy. One reason is that he’s a skilled detective who’s rarely wrong. Police leaders and district attorneys don’t like being told they’re idiots by the detectives. Bosch is not a Vic Mackey type that skirts the rules, however. He often gets in trouble because he’s so concerned about doing the right thing. When he bends the rules, it’s usually in the name of catching the bad guys. Bosch may look the other way if it punishes evil. Bosch is adapted from the long-running series of novels by Michael Connelly starring the title character. Beginning with The Black Echo in 1992, Connelly has written 21 books that feature the hard-nosed homicide detective. I have not read the source novels, so the TV series is all new. Given that each season pulls from multiple books, it’s easier to approach the stories from a fresh perspective. Connelly is directly involved in the show and co-wrote several episodes. I suspect that the tone matches the book, especially given the series’ slow-burn approach. The first season does a great job introducing the main character and his world. The L.A. environment feels lived in, even Bosch’s cool apartment overlooking the city. There are cases to solve but also time to enjoy local eateries and spin jazz greats at home. Bosch enjoys a low-key camaraderie with his partner Jerry Edgar (Jamie Hector, Marlo from The Wire), Lieutenant Grace Billets (Amy Aquino), and fellow officers in the Hollywood Division. The sets also seem genuine without drawing too much attention and include subtle details that add to the charm. The downside of season one is the focus on a serial killer that feels drawn from a lesser show. Jason Gedrick (Iron Eagle) tries his best to make Raynard Waits interesting, but there’s no mystery there. The potential remains because the cast is so good, especially Welliver in the lead role. The silent intensity in Bosch’s face says plenty about the determined officer. He’s still haunted by his past, especially the murder of his mother when he was 11. Bosch controls his emotions to focus on his police work, and it takes a toll on personal relationships. Everything clicks except for the main story, and the much-improved second season fixes those issues. What makes season two succeed are the greater stakes for everyone involved. It also is less ponderous than the grim first outing. The arrival of Bosch’s daughter Maddie (Madison Lintz) and ex-wife Eleanor (Sarah Clarke, 24) brings levity to everything. Villainous supporting turns from Jeri Ryan and Brent Sexton also give Bosch and Edgar more to play against. Lance Reddick sometimes feels like he’s on another show as Deputy Chief Irving, and he also gets more directly involved here. There’s even a Matthew Lillard sighting as an undercover FBI agent! This season builds on the solid foundation and delivers across the board. We’ve finally reached the main topic of this article — Bosch’s newly released third offering. Amazon dropped all 10 episodes onto their streaming video service on April 21st. They have already renewed the show for a fourth season, so this won’t be the last time we see Bosch. We ended the previous season with Bosch spitting on the grave of his mother’s killer, and that cynicism remains from our lead detective. He’s berating the DA in public, squabbling with his partner, and performing some questionable detective work. Even so, the moral center remains as part of this quest for justice. Bosch is still trying to be a good father and catch the bad guys. While this season’s villains lack the flair of the previous one, there’s still plenty to enjoy with the intersecting cases. Armin Vosloo (aka The Mummy) is so obviously evil from the start, and he knows how to play the arrogant henchman. Less effective is film director and murder suspect Andrew Holland, played like a complete fool by John Ales. The real excitement comes from watching the great Paul Calderon pursue Bosch as the relentless Detective Robertson. He seems more dangerous than the ex-military operatives led by Dobbs (Jeffrey Pierce). Robertson correctly senses than Bosch isn’t telling the whole truth, but he’s wrong about the specifics. By this point in the show, I just enjoy spending time with these characters. Billets’ application for captain doesn’t connect directly to the main plot, but it’s still interesting because we root for her. Irving spends the season finalizing his divorce and deciding whether to take the full-time role as chief. It’s obvious from the start that he’ll accept it, but this thread remains interesting for two reasons. First of all, the quiet sadness on Reddick’s face reminds us of the loss of his son. Irving is gruff and rarely shows emotion, yet he still works as a character. The other reason is the set-up for events in future seasons involving the death of Bosch’s mother. The writers know how to play the long game, especially when it comes to emotional scars from the past. 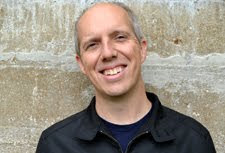 Bosch was developed for television by Eric Overmyer, who was a producer and writer on Homicide: Life on the Street during its final two seasons. They’re quite different shows, especially due to the Los Angeles and Baltimore settings respectively. What made Homicide so unique was its mundane look at the life of a police detective. No car chases or shootouts occurred, at least in the early years. Bosch has a brighter setting yet also shows the less glamorous side of police life. Characters spend time on stakeouts, doing paper work, and waiting for the right opportunity. Shootouts and chases happen, but they’re still rare. Beyond the main plots, it’s the low-key moments that stick with me. The writers find time to show Bosch teaching his daughter to drive and watching her play volleyball. There’s also a new romance with the Deputy District Attorney Anita Benitez (Paola Turbay) that mostly works. In a strange way, it’s the lack of a dramatic break-up that makes their scenes click. They just drift away in the midst of an ugly case, and then it’s over. Bosch is a nice guy but not what you’d call a warm person. His reputation in the department also might not be best for her career. The workplace politics grounds this show in reality and keeps it from losing focus. An important benefit of understanding the characters is the increase in stakes when things go wrong. When a major character is seriously wounded by a sniper, it’s not a cheap trick to enhance the drama. The show has laid the groundwork to make that moment connect. We’ve also seen the skills of the villains, so there’s a true sense of danger when they strike. Despite some dissension between Bosch and other cops this season, that slips away when a threat emerges. Robertson suspects Bosch of not being on the level, but he also has a begrudging respect for his skills. That uneasy alliance comes together in an interesting way. 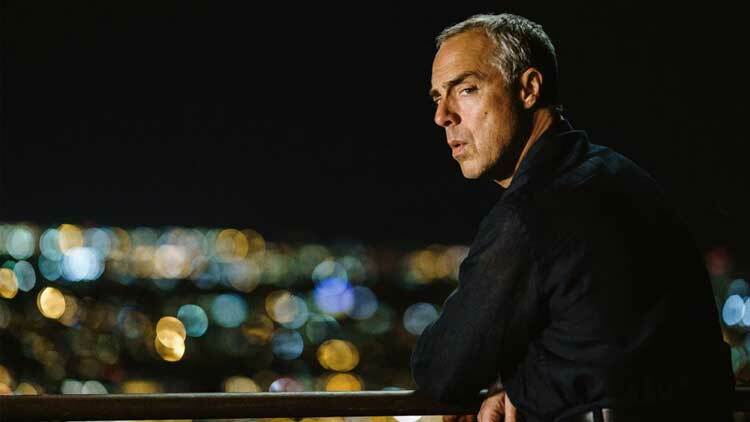 Welliver’s slow gait makes Bosch seem less imposing to suspects that don’t know any better. When the action heats up, his precise moves remind us of his Special Forces training and sharp instincts. The way that he dodges an approaching car and then shifts into attack mode is a perfect example. There’s no wasted effort or over-the-top histrionics. The show essentially functions in the same way. Regular directors Ernest Dickerson and Alex Zakrewski both shot multiple episodes of The Wire, and they understand how to shoot action scenes. Shootouts are brief, brutal affairs that get to the point quickly. Bosch’s third season concludes with an epic one-on-one pursuit on a gorgeous island that gives Bosch a chance to show his skills. It also extends the case of his mother’s murder into surprising territory. Those revelations should lead to significant conflict in the fourth season. The ominous final shot of Bosch’s face tells us all we need to know about his next target. Each season finale leaves enough threads open to keep us engaged, but they never feel like a cheat. This effective storytelling is consistent throughout the season and makes Bosch worth a serious look. Great review here. I think I need to check this one out. It seems to live in the same world as The Wire, with some of the same writers, creators and cast members. I had no idea Jamie Hector was in this show. Never seen him play anything other than Marlo! Thanks Alex. 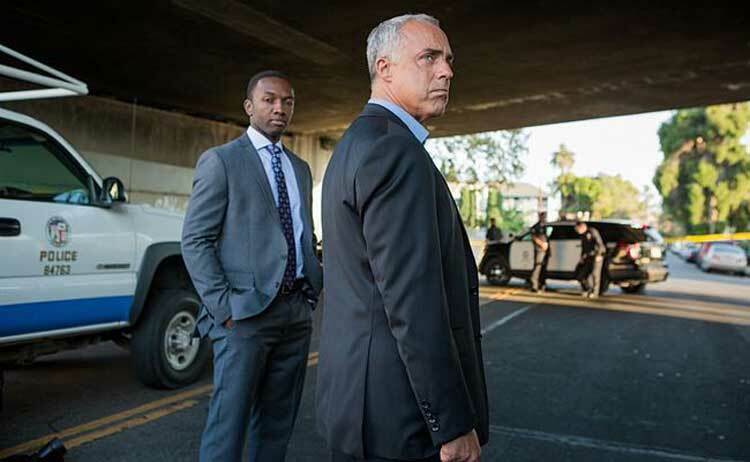 I wouldn't put Bosch on the same level as The Wire, but it's still worth checking out given the talent involved. The first season is a bit rough, but the performances are still good. I'd definitely recommend seasons two and three. Jamie Hector is one of the leads after Titus Welliver, and it's interesting to see him in the good guy role. If you end up checking it out, I'm curious to hear what you think! I have read several of the Bosch novels, so did have some preconceived notions. I just finished season one, and frankly avoided some of the portions regarding the serial killer, it was just too dark for me. Just starting the second season and it is a breath of fresh air after the gloom of season one. As a reader, I am finding it difficult to adjust to Harry's fancy modern home with its view of L.A. . In the novels, it is more like a cracker box house on stilts looking out over the Valley, and I think that fits better. The explanation that the new digs were paid for by movie money was the same in the books, but I think the series' house does clash, but you won't know this if you haven't read the books. I agree that as with all good series, the plots become less important; we tune in for the characters and their familiar interplay. That worked so well for Rockford Files. We want predictability in relationships and we get that in Bosch. And Bosch's romances, as you note, end more realistically, not in big fights, but they are just over, for various reasons. In Season One, it was obvious early on to me that the young female lawyer turned beat cop was very ambitious, and wanted to become a detective. She was using Bosch, and he was needing someone for a while. Her true colors became clear when she could not get Harry to lie on her behalf for her third mistake as a rookie. A great adapation of the novels, this series, I hope it goes on for years. Amy Aquino's pal relationship with Harry is great, I look forward to their bar meetings. The second season definitely felt like a breath of fresh air, as the first one was tough at times. I've only read the first Bosch book recently (which I liked), and I feel like the show does a good job in bringing that world to life. The relationship among the characters keeps growing each season, and I'm excited to see a lot more of it.